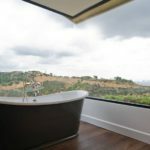 When talking about cool designs for the home, the term can mean different things to different people. 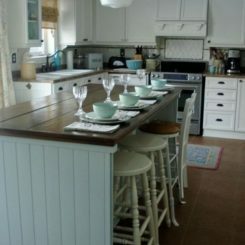 Depending on likes and dislikes, preferred decor style, and the level of formality, what is considered cool will vary. 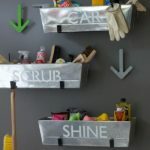 That said, there are some characteristics that can help propel something into the realm of cool items that bring a space from fair to fabulous. 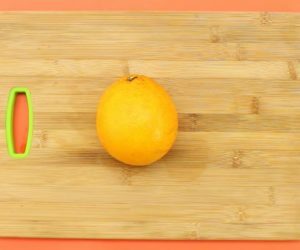 Items that are innovative, out-of-the-ordinary or unexpected are usually considered cool. Mainly, if it makes you stop and say “wow,” it’s safe to say that it’s a cool design. 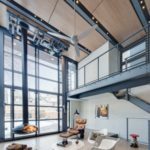 We’ve rounded up a collection of cool designs that would really bring a sense of modern flair to a space. A matching ottoman is made from the same materials. The Halo started as a custom commission for Italian Prosecco brand Bottega Gold. 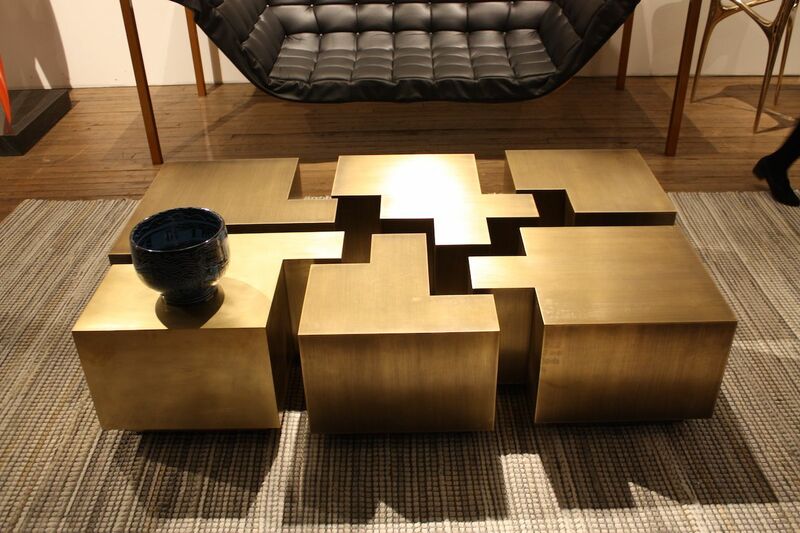 Paired with contemporary side tables, the cool designs remain elegant. Unique shapes elevate regular pieces to cool designs. 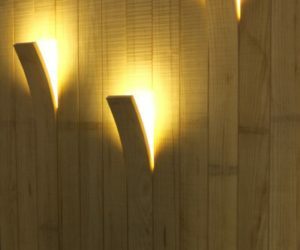 Lighting is a great place to find really cool designs. 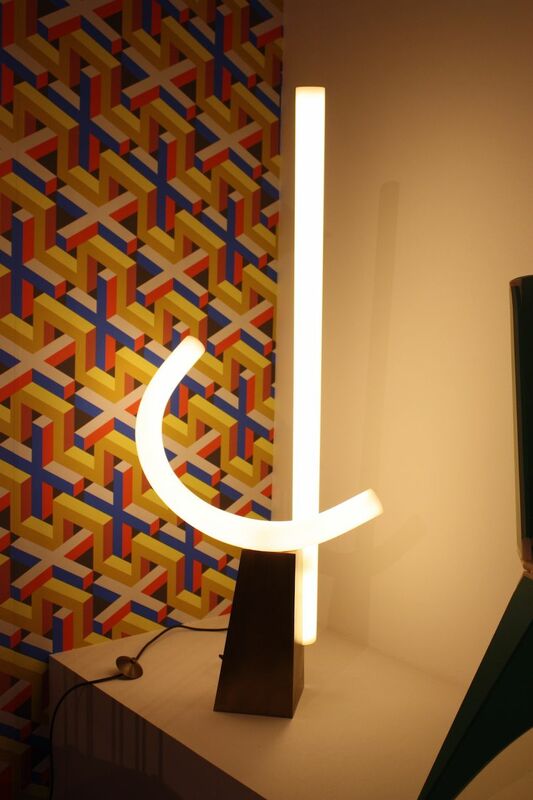 The versatility and safety of LED lights have really fueled designer creativity and new and ever more innovative fixtures are being presented. 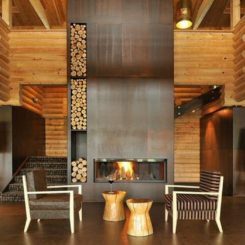 While lots of the designs are very modern, there are others that are contemporary, eclectic or rustic but would still be considered cool. These suspended pendants from Anony are called Highwire and are a good example of a cool design where the simplicity belies the technology needed to create them. The pendants are balanced through tension, aided by a weighted counterpoint. The lighted discs are made of anodized, machined aluminum and laser-cut diffusers that shine light in both directions. 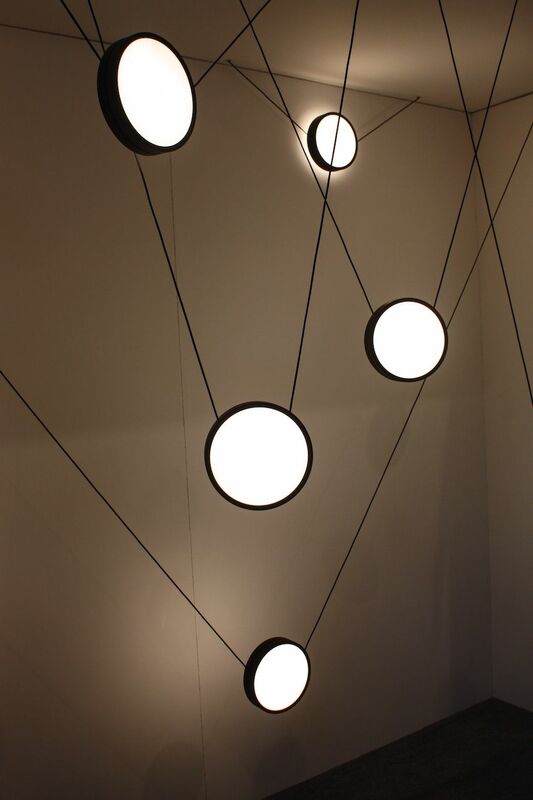 When suspended in an arrangement like this one, the lights are very modern and become the focal point of the space. Even used singly, their cool design makes them stand out. As many as five luminaries can run off a single power drop. 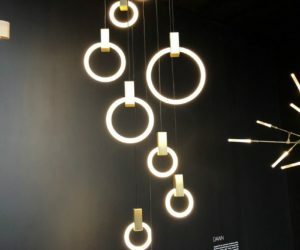 Rings of light in a range of sizes make for a cool design that makes you think of bubbles rising up. 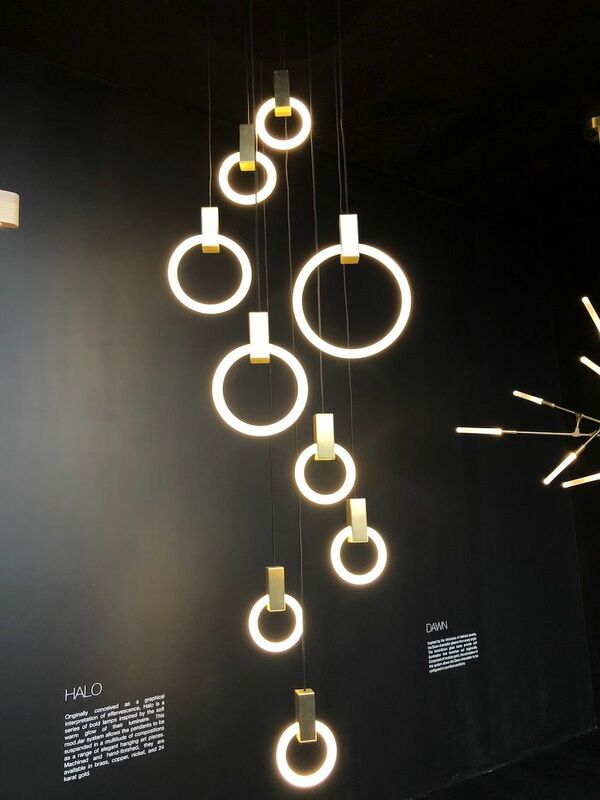 In fact, this Halo fixture by Matthew McCormick is intended to be a “graphical interpretation of effervescence.” The rings are just as much an art installation as they are fixtures and the glow they give off presents an ethereal mood. Like many cool pieces, much hand work is involved in their production, such as with the finishing on these. The rings can be suspended from brass, copper, nickel or 24 karat gold bases. 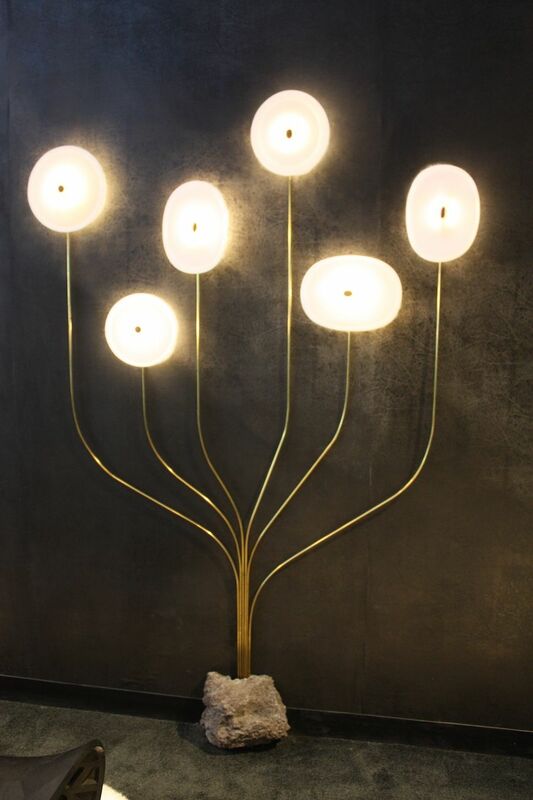 Another very cool design is this wall light fixture by Chilean artist GT2P. Titled Less CPP N2: Lava vs 6 Porcelain Wall Lights, the fixture is created from volcanic lava rock, an LED lighting system and brass. It’s another example of the melding of art and design, because it is not enough to call it a light fixture. 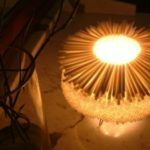 It is a visual treat that also provides ambient light, casting its artful glow across the space. 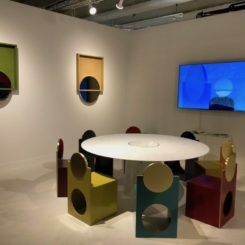 This was presented by Friedman Benda at Design Miami 2017. 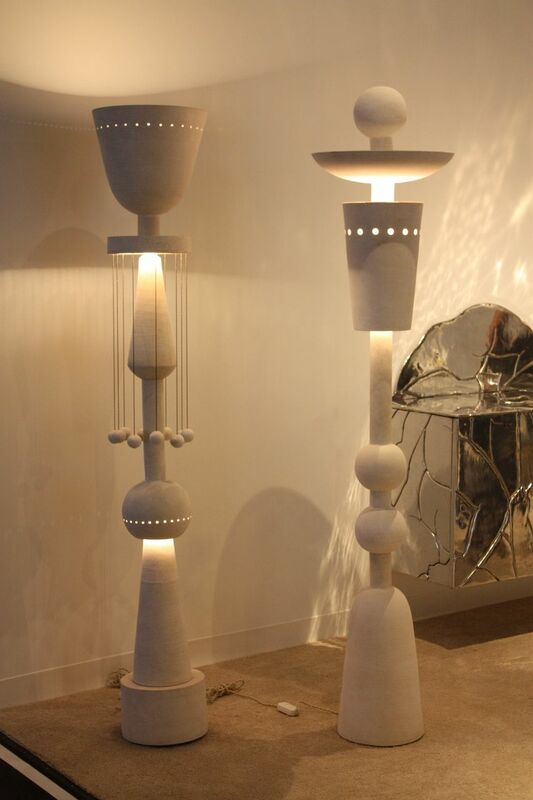 Like elegant totem poles, these floor lamps by Eric Roinestad are ceramic creations that cast a warm glow and are cool art pieces to add to a room. The five different shapes that make up the white fixtures create a very tall silhouette that adds to the drama of the piece. Roinestad says that they are inspired by his Scandinavian heritage along with 20th century influences. We can certainly feel some of the Nordic vibes behind this cool design. 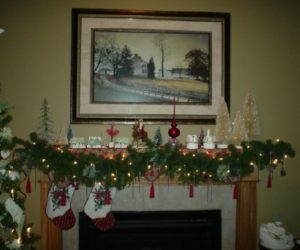 Including lights at various points along the length adds to the cool factor. 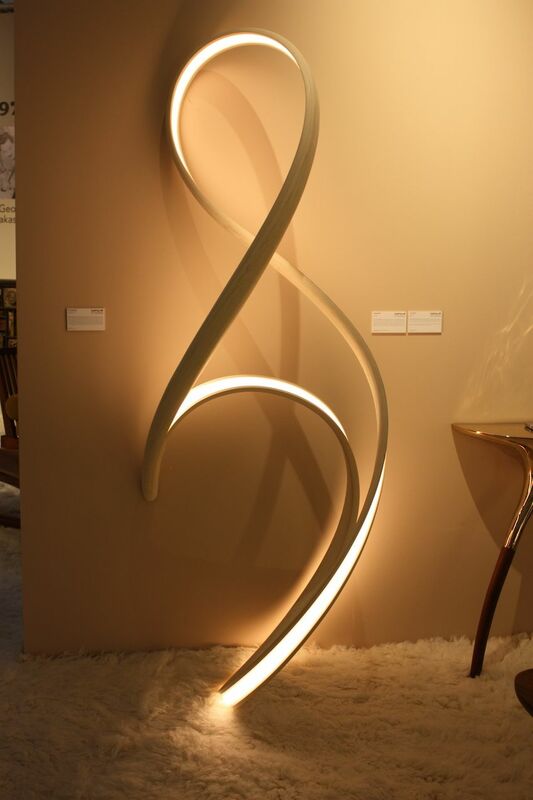 An equally cool but very different floor lamp is this sinuous design from the Todd Merrill Studio. 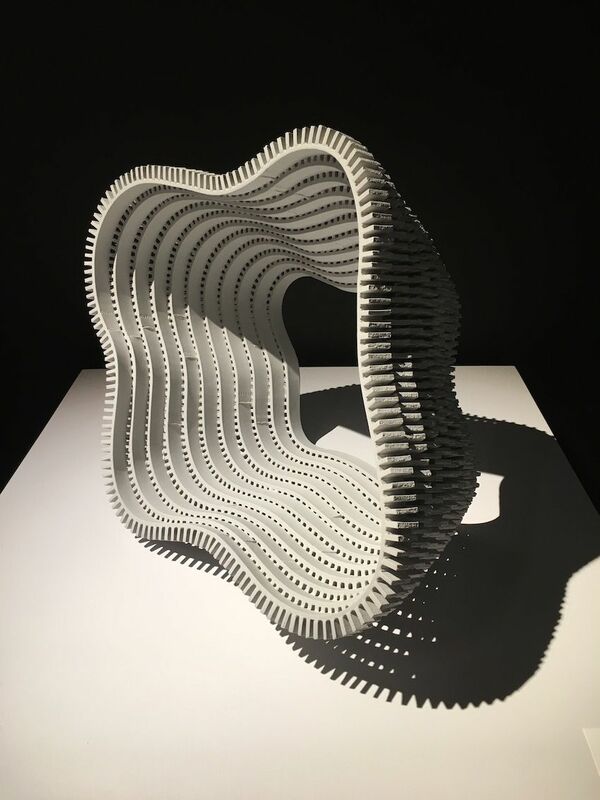 John Procario’s Standing Freeform II has the unexpected shape and fusion of art and technology that immediate make it a very cool design indeed. The ribbon-like structure encloses a strip of light that is fueled by an LED source. 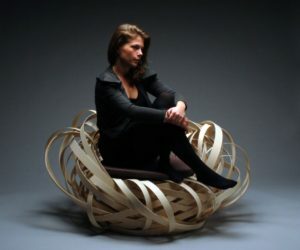 Procario is known for his technique, which pushes the material to the limit, creating beauty from the stress of the wood. 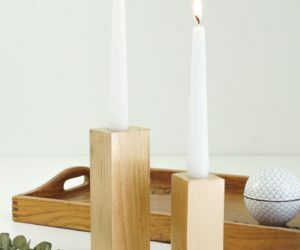 The lamp is made from micro-laminated, cold-pressed bent wood. 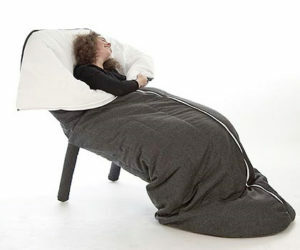 Chairs that have a cool design are extra versatile because they are easy to add to any room. 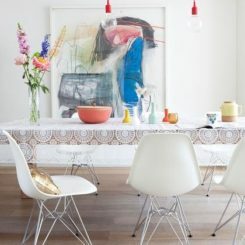 Recent trends have featured streamlined chairs that hark back to iconic designs, like those from the mid-century era. 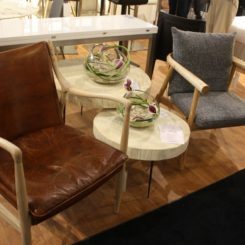 These great chairs, however, have more going on in the way of design, new style and functionality. While classic pieces are always appropriate, it’s just as easy to add a dash of daring with a chair or two in order to up the cool factor. An armchair from Twist Modern might look ordinary at first glance, but it has a wonderful design innovation: A changeable panel on each side that can be replaced. Tired of the laser-cut wood design that you chose? Swap it out for an upholstered panel instead. Whether you change it with the seasons or your whims, opting for a new side panel is an easy way to alter the look and feel of the armchair. 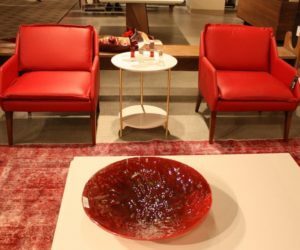 Hundreds of options exist for the chair, along with matching credenzas, coffee tables and side tables. 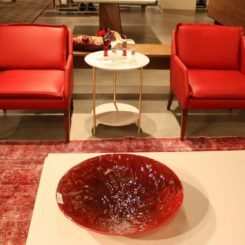 It’s easy to mix, match and change up the design of your space with these pieces. 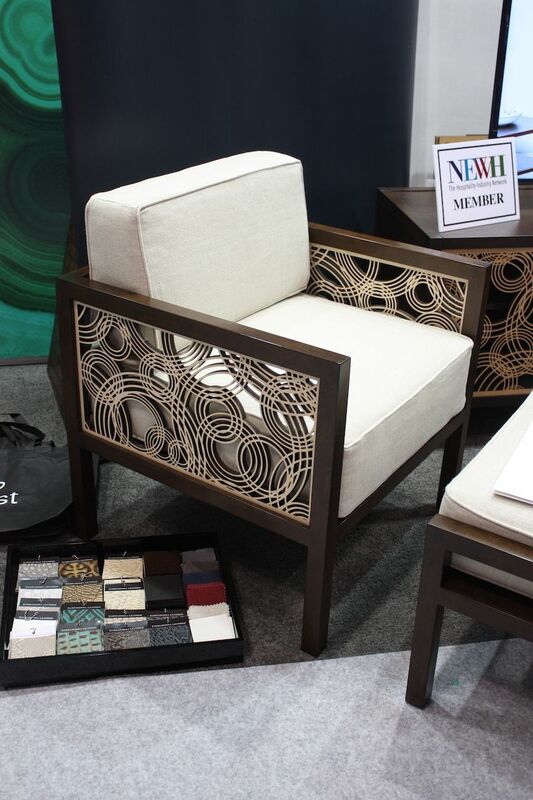 Upholstery options include textiles as well as leather. 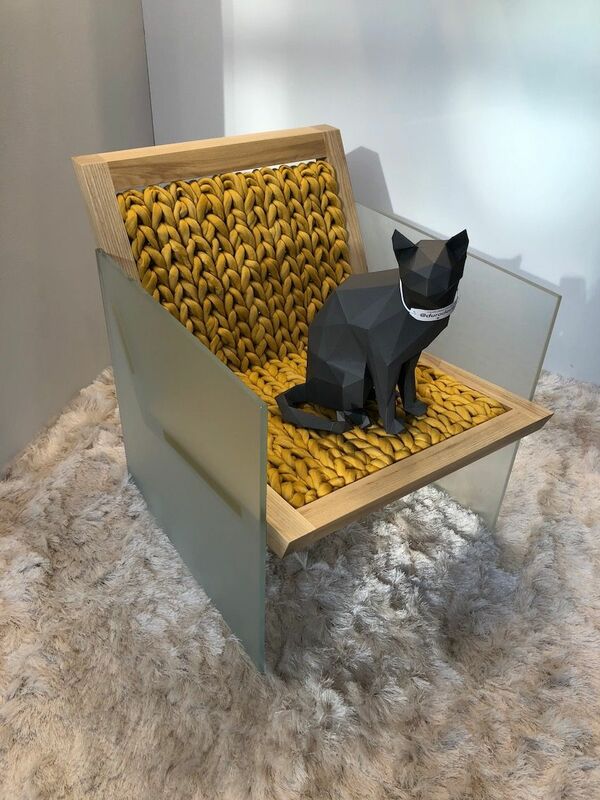 Fitting right in with the trend of mixed materials, this cool chair design combines three modern types into one eye-catching design. Durodeco’s Purl lounge chair is anchored by a glass base that is made opaque with acid etching. The ethereal sides make the ash wood frame seem to float. Instead of the typical upholstery, the seat is in reality a loom, onto which the wool roving is woven to look like a knitted piece in a purl stitch. The unexpected combination of materials and innovative weaving make this a really cool design for an office or a living room. The texture of the seat adds a lot of dimension to the chair. Glamming up a classic chair shape is an instant route to cool. This chair from Kosta will appeal to those who prefer more detailing and like to have a feminine touch to their furnishings. 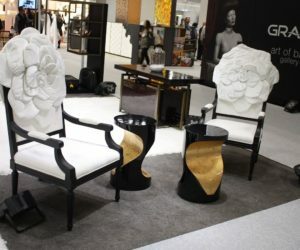 The color palette is a stylish black and white, which makes the flower-backed seat very elegant. 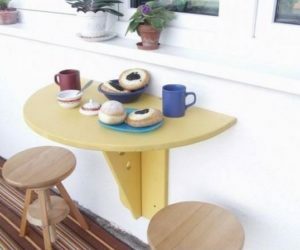 This is also a cool touch of whimsy, without being too cutesy or edgy. The chairs would be equally alluring in a more formal living room as well as in a luxurious bedroom or sitting area. 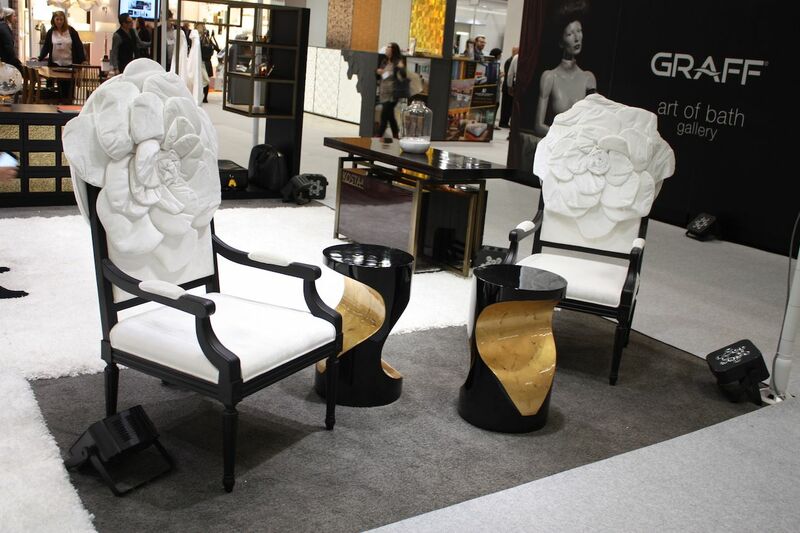 Using these for a conversation area would add a cool, glamorous element to any space. 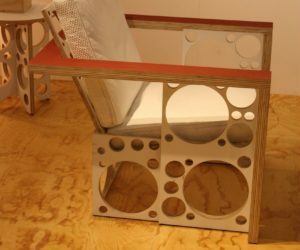 Tom Sachs’ cool design for this chair is based on a theme of deconstruction. The futuristic furnishings were also created with futuristic technology: Robotic milling. The hand-finished lounge chair base is made from custom laminated maple and fir plywood that has been covered with latex paint. The structure features milled lightning holes and accents made from vibram rubber. The seat and back are upholstered with spinneybeck leather. 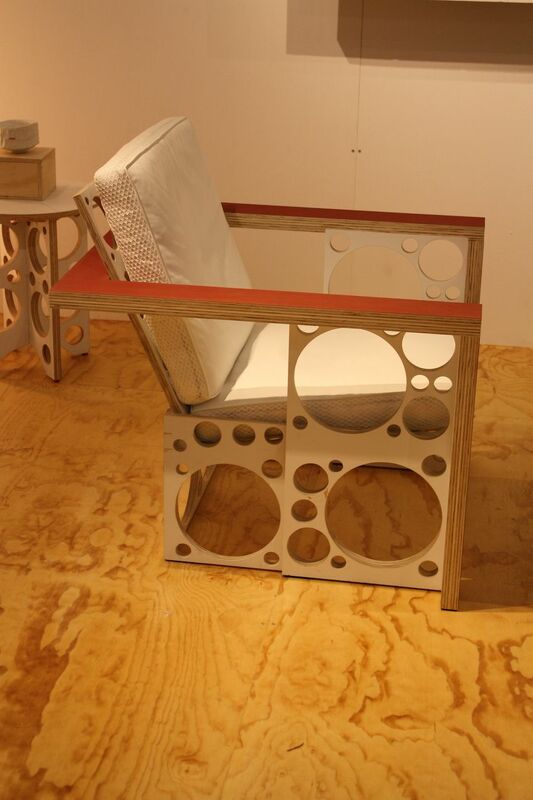 The resulting chair is geometric and modern, with a very artistic sensibility. 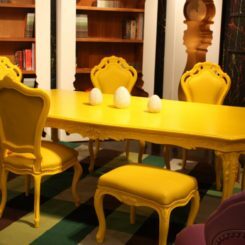 Statement making furniture is a perfect item for adding a cool design to your space. It will dominate the grouping and call attention to the unique features of the piece, such as this does. 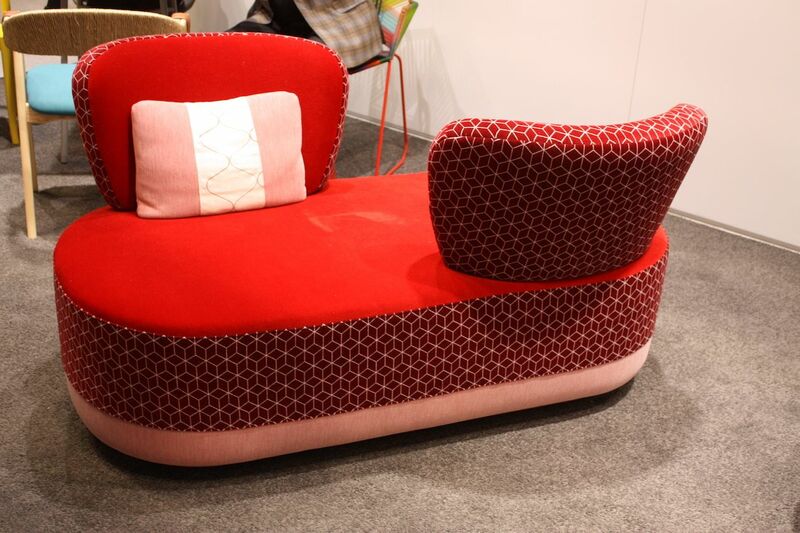 Originally created for public spaces, Karim Rashid’s Wavelength sofa would be equally engaging in a living room. 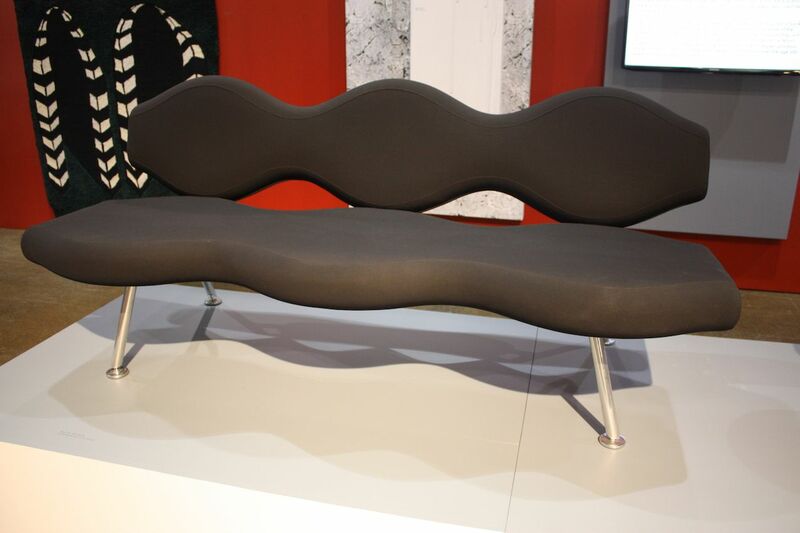 The undulating shapes of the back and the seat have a feeling of movement and evoke gentle emotions. Beautiful in its simplicity, the Wavelength can be upholstered in textiles, vinyl or leather and the collection includes a lounge chair and two- and three-seat sofas. It’s truly an elegant and modern piece. 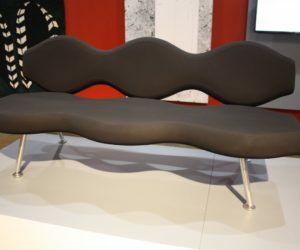 Here a very vintage concept is made into a cool design with a modern shape and graphic upholstery. The JuJu Rendezvous from Moroso is described as a “melting pot” of concepts, inspirations and emotions. 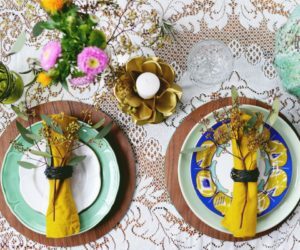 The shape is welcoming and perfect for conversation, whether it’s with a friendly guest or a romantic partner. The opposing seats mean that attention will always be focused on the conversation and not outside distractions. Back cushions filled with goose down are upholstered in a graphic texture that is repeated around the base. 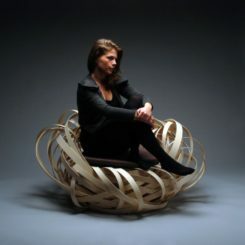 This is a unique design for seating that is definitely out of today’s realm of ordinary furniture. Bold colors keep the settee the focus of attention. Another standout design is a credenza that features not only an unexpected shape, but also decorative painting that is dramatic, graphic and artistic. 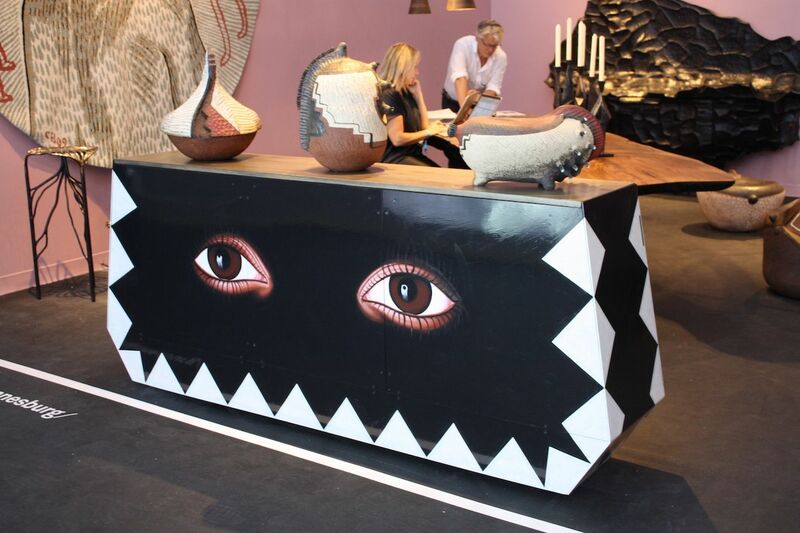 Lips by Lala Limo from the Southern Guild is made from hand-painted milled steel, African walnut and tinted glass. 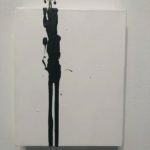 The combination of materials and the stark painting make this a cool design that is decidedly a statement piece. It needs space to be the focal point and be visible to all who come and go. Artful, one-of-a-kind pieces are always a cool design choice. The Puzzle table by Gulla Jonsdottir is a versatile design because it can be pushed together as a solid coffee table, separated like this for a different look, or entirely separated as individual sections. The Icelandic-born designer is known for her “unexpected and poetic modern architecture and interior spaces.” The artfully brushed metal adds dimension to the finish and is modern, elegant — and definitely cool. 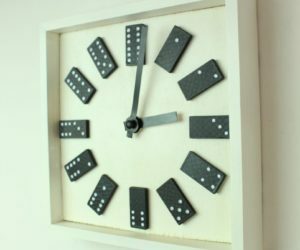 This cool design works with different decor styles. 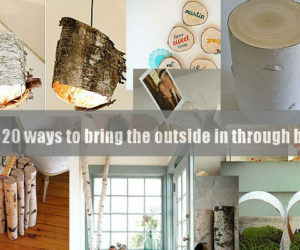 Of course, accessories are probably the easiest way to add a cool design to your interior decor scheme. 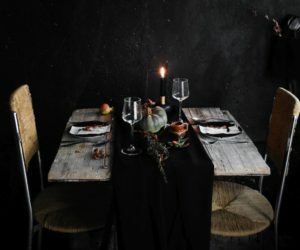 Whether they are artful, techno or rustic, using the right accent pieces really distinguishes a room. Moreover, cool accessories and art are easy to find. This gorgeous ceramic piece is visually cool, but it moves to another category entirely when you learn about the work behind it. “Waiting for Godot is by artist Bae Se Jin, who records time on the clay by numbering each tiny section that he incorporates. Each and every small protrusion on the piece is numbered in order. 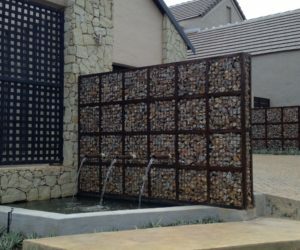 This piece is dramatic in construction as well as appearance. Outstanding accessories often straddle the worlds of art and design. Beauty is always in the eye of the beholder, yet it is possible to pin down the characteristics that make these pieces cool designs. Every decor style can incorporate a cool design to bring currency and relevance to a space, especially as technologies, forms and functions advance. When the time comes to refresh or upgrade a space, try looking for a piece or two that have the features and qualities that make it a cool design.